"There is inevitable need for compromise in the agreement on Construction documents and Perveen is always ready to 'fight the Bank’s corner' in gaining the necessary protections in the Banks standard Development requirements." Perveen is a construction lawyer specialising in non-contentious building procurement matters and renewable energy projects, in particular, solar and geothermal. Her experience includes work for both the private and public sector organisations. Perveen has extensive experience & expertise in drafting and amending building & engineering contracts. This includes all versions of the JCT suite of contracts, NEC and institutional forms of contract and IChemE forms of Contracts. She also advises on the drafting and amendments of consultant’s appointments (industry standard and bespoke), warranties, bonds, guarantees, development & funding agreements, agreement for leases, novation agreements and ancillary project documentation. Perveen has extensive experience of advising in relation to engineering projects in various sectors, including both civil and structural engineering. Perveen is familiar with NEC, FIDIC, IChemE and other forms of contract used in the engineering industries. Perveen is currently advising on an engineering plant where the clients who is the main contractor is engaged pursuant to the IChemE contract. The Client is engaging its subcontractors on the yellow and brown forms of the IChemE contract. Perveen’s primary role is to prepare and advise on the terms of the subcontracts. Project value is between £25 million to £30 million. Advising a local authority in relation to the drafting, tendering and negotiation of maintenance contracts, with values between £20 and £50 million. The contracts are based on NEC3 Term Service Contracts and the framework has also been drafted so the local authority can call off contracts. Advising a Contractor in relation to the Highways and Environment Term Services Contract. The Contract is based on the standard form contract NEC3 (2013) Term Service Contract with bespoke amendments. Perveen advised on the risks and liability of the Contractor client in light of the specific amendments proposed by the employer. Project value £10 million. Perveen acts for local authorities and education sector clients, advising on new developments, refurbishment projects (including fit out contracts) and minor works. Perveen is currently acting for a sub-contractor on the design and build sub-contract on Paradise Circus in Birmingham. This is a mixed use development of commercial, civic, retail, leisure and hotel space, and will provide major improvements to pedestrian access across the city centre in Birmingham. Perveen is currently advising a client in respect of the design and construction of 44 flats. Perveen is advising on the building contract appointments, warranties, security from the Contractor and novation agreements. Perveen has substantial experience in advising clients on various renewable energy projects from Solar, geothermal technology, process plants and biomass projects. Advised a developer on a number of ground mounted solar PV plants across the UK. This involved the negotiation of the EPC contract, Advance Payment Bonds, Warranty Bank Guarantees, collateral warranties in favour of landlords, Direct Agreements in favour of funders and Operations and Management Contracts. Each project was circa £15 to £30 million each. 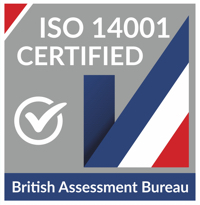 The projects had to be connected and commissioned in order to achieve the relevant FiT and RoC accreditations. Advised on the terms of a contract for the design, manufacture and installation of a biogas Plant. The Contract Price was €2,500,000. This involved negotiating the terms of the contract with a specialist contractor from Germany in respect of the particular biogas plant system. The client is a supplier of fruit and vegetables and wanted to put its waste to use and produce fuel. It employed a technical advisor to assist with the technical design, specification and the performance criteria which had to be agreed with the Contractor. It then formed part of the testing and commissioning protocols. Advised a leading UK supermarket on the contract for the design, installation, testing and commissioning for roof top solar panels. Perveen has advised a Contractor, who specialises in, and carries on the business of, designing, planning, developing and constructing boilers and equipment for the generation of heat and power from biomass fuel and natural gas. The Contractor agreed to install predominantly medium sized (approximately 199kW to 400kW) wood pellet biomass boilers, dual fuel biomass systems and/or CHP systems to provide heat and hot water to 252 new residential units and 4 new commercial units in central London. External funding for the project (including construction of the units) was circa £10 million with significant additional funds being invested by the owner of the site who was also the design and build contractor of the units. The owner instructed its own solicitors and we advised the Contractor on a number of the project agreements. Perveen advises retail clients on the development of new premises and/or fit out works. Perveen advises one of Freeths’ key clients in relation to the development of new retail units. 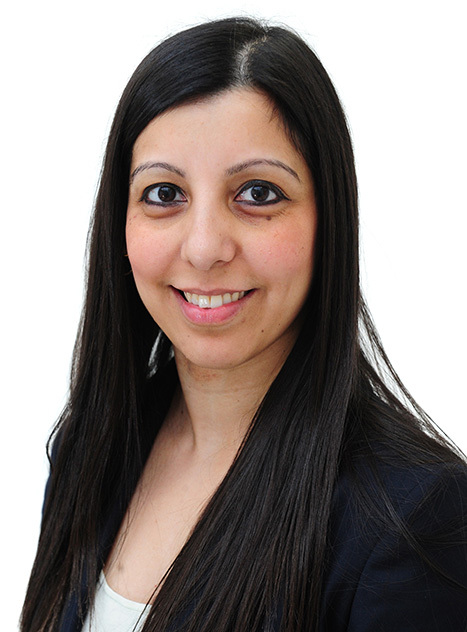 Perveen’s role is to advise on the terms of the building contracts, consultant’s appointments and warranties. Perveen also advises retail clients in relation to premises which they occupy including preparing and advising on contracts for fit out works. Perveen is currently advising a client on the construction documents for the design and construction of a warehouse and office buildings. Project value circa £10 million. Perveen is currently advising a client on the refurbishment of a retail unit. Perveen is advising on all aspects of the construction documents and on completion of the works the unit value will be in the region of £25 million. Perveen leads on the construction advice given to various clients for health care schemes. Perveen advises on the development of various health care projects, including advising on the design and construction of Equine Hospitals, GP Surgeries, Veterinary practices, dentist’s surgeries and care homes. Advising on the development of a new GP surgery incorporating two smaller surgeries. Project value circa £7 million. Perveen is advising on the terms of the Building Contract, collateral warranties, and additional security from the Contractor (Performance Bond and Parent Company Guarantee), preparing and advising on bespoke forms of consultants appointments, including warranties for the funder. Advised a bank on the design and construction of a care home. Perveen advised on the terms of all of the construction documents including advice in relation to a performance bond being provided by the parent company and also latent defects insurance. Project value £5 million.